Jenny Backus (Chair): With over 20 years as a strategic communicator, Jenny Backus comes to NNEDV with unparalleled experience from her political and non-profit work. In the political sphere, Jenny has worked as Communications Director for Sen. Harry Reid, and Press Secretary for the Democratic National Committee. During the 2004 and 2008 election cycles, she managed over 40 Presidential Primary debates, forums, and events. For the first two years of the Obama Administration, Jenny served as the acting assistant secretary for Public Affairs (ASPA) and the principal deputy assistant secretary for Strategy & Planning at the U.S. Department of Health and Human Services (HHS). In these roles, she managed communications and marketing for HHS, and led the communications efforts associated with the roll-out of the Affordable Care Act. In the non-profit sector, Jenny served as a consultant for NARAL Pro Choice America, is the nominations chair for the DC Public Library Foundation Board, and sits on the Board of Trustees for World Learning Inc. As Senior Policy Advisor and Head of Strategic Outreach & Engagement at Google from 2012 to 2015, Jenny was instrumental in strengthening NNEDV’s partnership with Google, one of its most important supporters. Today, she is the President and CEO of Backus Consulting LLC, a strategic communications firm. Jenny has been the Chair of NNEDV’s Board of Directors since 2016. Gloria Terry (Vice Chair): Gloria Aguilera Terry joined the Texas Council on Family Violence (TCFV) in January 2008 as President, and was promoted to Chief Executive Officer in 2013. In her role as CEO, Gloria guides and directs the statewide activities of TCFV, such as the Texas legislative session. She has been successful in establishing and fostering statewide tactical partnerships, working with staff to provide outstanding services to programs, and strategically positioning TCFV to create the influence necessary to continue serving the needs of victims and their families. Ms. Terry came to the Texas Council on Family Violence from El Paso, Texas where she served as Executive Director of the Center Against Family Violence (CAFV). During her tenure at the CAFV, Gloria managed a significant border community domestic violence program with a $1.8 million dollar budget and a staff of fifty employees. Ms. Terry, a 2003 Leadership Texas graduate, holds a BBA from the University of Texas at El Paso. Her extensive community service includes serving on the Tarrant County Family Advocacy Steering Committee; Collaborative Council for the Judicial Commission for Children, Youth and Families with the Texas Supreme Court; VAWA Planning Committee with the Governor’s Office; National Leadership Committee with Center for Disease Control; and Diversity Committee of the National Council of Juvenile and Family Court Judges. Gloria has been a member of the NNEDV board since 2013. Janelle Moos (Secretary): Janelle Moos is the Executive Director for CAWS North Dakota, a statewide membership-based non-profit organization dedicated to ending violence against women. She has been with CAWS North Dakota since 2002, and has served as Executive Director since 2008. Ms. Moos has served on a variety of state and national committees including the STOP Violence Against Women Advisory Committee and the ND Crime Victim Services Board. She is the Co-Chair of the ND Domestic Violence Fatality Review Commission, the past Chair of the NNEDV Program, and a leading member of the Steering Committee of the Intimate Partner Violence Prevention Council. She received her Bachelor of Arts degree in psychology and criminal justice from Minnesota State University at Moorhead and her Master’s degree in criminal justice from Minot State University (ND). David Diggs (Treasurer): Since October 2017, David Diggs has led David Diggs & Associates, LLC, a consulting practice helping clients connect to the wireless community. Before founding David Diggs & Associates, Diggs served as President and CEO of the Wireless History Foundation, and Vice President of Wireless Internet Development for CTIA–The Wireless Association, where he was responsible for working with industry stakeholders to accelerate the growth of the wireless data segment of the industry. Diggs began his tenure at CTIA in 1995 as the Vice President of Operations, and from 2000 to 2009 was Executive Director of The Wireless Foundation. Under his leadership, The Wireless Foundation was a significant supporter of NNEDV’s Safety Net Project. Prior to his time at CTIA, Diggs spent nearly 20 years serving in leadership positions at a variety of wireless companies including Dispatch Communication, Inc. (now Sprint Nextel), Bell Atlantic Mobile Systems, Inc. (now Verizon Wireless), and Cellular One (now AT&T Mobility). Victoria Boston: Victoria Boston is the Vice President for Loyalty Centers of Excellence at Comcast NBCUniversal’s West Division. Before joining Comcast, Boston served as the Vice President of Sales for Frontier Communications, leading a team of over 5000 team members, and serving over 5 million customers across the United States. From 2012 to 2015, Boston was the customer service area Vice President for Verizon Wireless. In that role, she was responsible for leading more than 5,000 customer service professionals located across eight company-owned and operated Customer Service contact centers. Boston had held several sales, marketing, project management, human resource, workforce development, large business and information services leadership positions across Verizon and its legacy companies over a 25-year span. In 2013, she received the prestigious CEO Leadership Excellence Award and in 2006 she received the Development Roundtable for Upward Mobility, and the Dr. Martin Luther King, Jr. Award for her commitment to developing others. She has also received the Consortium of Information and Telecommunications Executives National Diversity Award, and was featured in Afro newspaper as one of its 2014 and 2007 Black History Award honorees. She also serves on the board of Discover YOU, a social justice non-profit organization bringing arts and education to under-served youth in Compton, CA. Karma Cottman: Karma joined the DC Coalition Against Domestic Violence (DCCADV) as Executive Director in 2010. 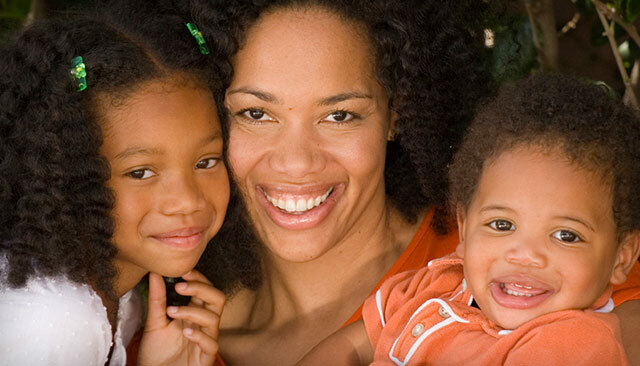 DCCADV provides leadership to all sectors of the Washington, DC Community to respond effectively to the needs of domestic violence survivors and their children. Before moving to lead DCCADV, Cottman served as NNEDV’s Vice President of Policy and Emerging Issues, directing the organization’s policy agenda and supervising state coalition and housing technical assistance projects. 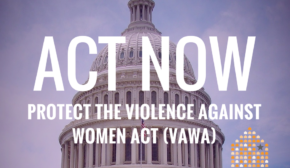 She worked closely with national policy partners to strengthen federal legislation to effectively respond to the needs of all domestic violence survivors. At NNEDV, Cottman also worked with federal agencies to enhance violence against women programming. Prior to joining NNEDV, Karma served as the co-director of the Florida Coalition Against Domestic Violence’s Rural Diversity Initiative. Karma was a founder of Ujima, Inc.: The National Center on Violence Against Women in the Black Community, a national, culturally-specific services issue resource center to provide support to and be a voice for the Black Community in response to domestic, sexual and community violence. Since 1994, Karma, who is a Washington D.C. native, has worked with numerous national partners to address emerging issues in domestic violence service provision, and has sat on several national committees, including the steering committee of the Institute on Domestic Violence in the African American Community and the Policy Partnership for Communities of Color. Antigone Davis: Antigone Davis has served as Facebook’s Head of Global Safety Policy since 2014. In this role, she works with both internal teams at Facebook, and external safety organizations and government bodies, to ensure that Facebook remains a leader in online safety. Antigone also spearheads Facebook’s Safety Advisory Board, overseeing a team of leading safety organizations, including NNEDV, that provides Facebook with cutting edge research and advice on best practices around global and online safety. Antigone is committed to addressing the intersections between domestic violence and tech safety. In 2015, she participated in a panel on technology safety during the 3rd World Conference of Women’s Shelters held in The Hague. Antigone has been instrumental in strengthening NNEDV’s partnership with Facebook, one of our most important partners. Ms. Davis also serves on the boards of WePROTECT and the Family Online Safety Institute. Ben Hammer: Ben Hammer, Principal and founder of Hammer Strategies, is a communications and public affairs strategist who works with executives throughout the media and technology industries to help them tell their stories, advocate for policy positions, find consensus with coalition partners, and plan for major strategic events. He specializes in high stakes communications related to telecommunications, media and technology policy, and the intersection of national security and technology. Ben is a former vice president of strategic communications for The Glover Park Group, and was a business reporter in New York and DC who wrote for wire services, magazines, and specialty subscription outlets. He focuses on coalition formation and management, M&A and foreign investments under government review, complex litigation and antitrust cases, and international business. Ben also serves on the board of the Daily Pennsylvanian Alumni Association, and is a pro bono advisor to the Washington D.C. Police Foundation. Susan Higginbotham: Susan Higginbotham is CEO of the Pennsylvania Coalition Against Domestic Violence (PCADV) and has more than 30 years of experience in addressing mission-related issues including domestic violence, reproductive and sexual health, HIV/AIDS and LGBTQ health. Susan previously served as Executive Director of the Society of Family Planning (SFP) based in Philadelphia; President and CEO of Planned Parenthood of Chester County; and executive director of the AIDS Fund. Before relocating to Pennsylvania, Higginbotham was executive director of a community-based domestic violence center in South Carolina, and went on to lead the South Carolina Coalition Against Domestic Violence and Sexual Assault (SCCADVSA) as executive director. Susan received her BA in psychology and political science from the University of North Carolina at Chapel Hill and her Master’s degree in Counselor Education and Psychology from North Carolina State University. Sarah Holland: Sarah Holland is the U.S. Public Policy lead for Google’s strategy and programs on youth and technology, focusing on consumer privacy and data innovation. Prior to joining Google, she served as Legislative Assistant and Senior Advisor to Senator Mark Pryor on online safety, communications and technology, foreign policy, and education issues. In Spring 2018, Sarah received a project-based fellowship on artificial intelligence and its governance at the Berkman Klein Center for Internet & Society at Harvard University and MIT Media Lab in Cambridge, MA. Sarah received a B.A. from the University of Arkansas and an M.A. from the Johns Hopkins University, and also studied at the American University in Cairo, Egypt. She is the immediate past board chair of the Family Online Safety Institute (FOSI) Board of Directors. Brian Jones: A partner with the Black Rock Group (BRG), Brian Jones has a proven track record of creating and managing winning public affairs and public relations campaigns for some of the country’s most innovative companies, associations and coalitions, along with national political candidates. Brian has worked for and with a number of national and local non-profit organizations over the past 20 years. Much of his work in recent years has been on tech policy issues including electronic communications privacy, balance in copyright, self-driving vehicles, and protecting children online. Brian also worked closely with the non-profit Rights for Girls, helping to see the Justice for Victims of Trafficking Act signed into law. Brian has also been extremely active in the world of electoral politics serving in senior roles for the presidential campaigns of Mitt Romney, John McCain, Chris Christie, and George W. Bush. In 2011, Brian was named one of the “top free-agent GOP operatives” by the Washington Post. From 2004 to 2007, Brian was the Communications Director at the Republican National Committee. Brian earned his MA from the University of Washington in Seattle and BA from the University of Massachusetts in Amherst. He lives in Alexandria, CA with his wife, Emily, and their two children. Susan L. Lees: As Executive Vice President, General Counsel and Secretary of The Allstate Corporation, Susie leads the legal team to guide Allstate’s business strategy, ensure sound compliance of government practices, and foster a healthy legal, legislative and regulatory environment. She joined Allstate in 1988 and has held a variety of leadership positions while successfully directing several key initiatives for the corporation, most notably during her previous role as Senior Vice President and Deputy General Counsel for Allstate Financial. During her extensive tenure at Allstate, Susie led a multitude of complex initiatives, including mergers and acquisitions like the company’s purchase of American Heritage Life Insurance Company. Lees holds an A.B. degree in political science from Brown University and a J.D. from the University of Oklahoma College of Law. She has been a champion of key societal issues and has served as a member of Allstate’s Enterprise Diversity Council. Susie chairs the Audit Committee of NNEDV and serves on the boards of the National Association of Women Lawyers, Rand Institute for Civil Justice and the Institute for Legal Reform. Paul Mifsud: Paul is Vice President, Deputy General Counsel, Labor Relations & Player Programs, at the Office of the Commissioner of Baseball. Prior to joining Major League Baseball, Paul was an associate in the Labor & Employment Department of Proskauer Rose, LLP, in New York. Paul was a principal draftsman of Major League Baseball’s first domestic violence policy, anti-hazing & anti-bullying policy, and the MLB workplace code of conduct. In this respect, Paul is responsible for League-wide education and training of players under these policies. Paul has been involved in nearly every player grievance that has been arbitrated since 2001, including many challenging discipline under the Joint Drug Program, and in the negotiations with the Players Association over discipline and training for violators of the Joint Domestic Violence Policy, which was implemented in 2015. And Paul has participated in dozens of salary arbitration cases since 2001, performing the role of lead counsel for the Commissioner’s Office in over 20 cases since 2006. Paul is a 1995 graduate of Vassar College in Poughkeepsie, New York, where he majored in Economics and minored in Russian language. He received his J.D. from N.Y.U. School of Law in 1998. Paul lives in Irvington, New York, with his wife and three children. Vanessa Timmons: Executive Director of the Oregon Coalition Against Domestic and Sexual Violence (OCASDV), Vanessa has been a writer, activist, and women’s health advocate for over 25 years. She attended Marylhurst University’s Multidisciplinary Studies Program in Portland, Oregon, and has continued her formal education through certificates and training, including the Interpersonal Neurobiology of Trauma Certification Program at Portland State University. Vanessa has used this background to develop numerous programs integrating trauma-informed, neurobiological-grounded tools for advocacy including her Ted Talk,“Sustaining Bravery During Difficult Times.” Timmons previously served as the Director of Programs at Raphael House of Portland, as the Northwest regional field organizer for the National Organization for Women, and the domestic violence program coordinator for the Multnomah County Domestic Violence Coordination Office, in addition to serving OCADSV in the past as the Women of Color Coordinator and Board Chair. Timmons is the 2017 recipient of NNEDV’s Diane Reese Excellence in Advocacy in the Movement (“DREAM”) Award for her dedication to holistic and community-centered approach to advocacy and healing. Kim A. Gandy: Kim is the president and CEO of the National Network to End Domestic Violence. Throughout her career, Kim has maintained a profound commitment to ensuring that women have the opportunity to lead healthy lives in safety and prosperity. Kim began her career as a young activist in her native Louisiana. As a young lawyer, Kim worked on the ground representing survivors pro bono. At the same time, she wrote and championed groundbreaking legislation, including Louisiana’s first Domestic Abuse Assistance Act, and later worked on the original Violence Against Women Act (VAWA). Prior to joining NNEDV, Kim was Vice President and General Counsel of the Feminist Majority Foundation, and spent 22 years in national leadership at the National Organization for Women (NOW), including serving as President from 2001 to 2009. Kim has been a guiding force in many landmark cases and legislative gains, such as the Lilly Ledbetter Fair Pay Act of 2009. Notably, she served on the legislative drafting committees for both the Civil Rights Act of 1991 and the 1994 Freedom of Access to Clinic Entrances Act. A widely sought-after media commentator, Kim has participated in more than 400 major media interviews with news organizations such as TIME, Newsweek CNN, ABC, NBC, CBS, FOX and NPR, and has appeared on programs including “The Colbert Report,” “Oprah” and “The O’Reilly Factor.” Kim is a graduate of Louisiana Tech University with B.S. degrees in mathematics and education and holds a JD from Loyola University School of Law.